Set aside that axe momentarily. 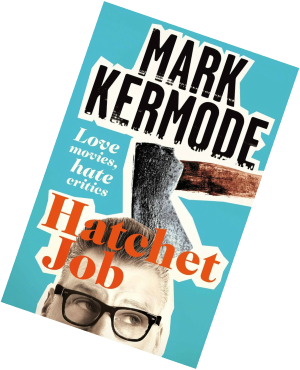 The notorious and popular critic Mark Kermode addresses the current state of screen criticism in his most recent endeavour entitled Hatchet Job: Love Movies, Hate Critics. While he adopts an appealing position regarding film criticism and argues the merits of the Internet age, Kermode doesn’t quite manage to colour inside the lines with this one. The advent of Internet gave way to a new age of screen criticism characterised by an abundance of choice and the ability to wax lyrical on a blog at the user’s whim. The traditional format of print publication has supposedly transpired whilst online communities thrive and the practice of criticism has evolved into a conversation that extends to the far reaches of cyberspace. Most successfully adopted and used by Roger Ebert - film critic, personality and beloved icon of the art form - the online landscape has expanded the potential for screen criticism to flourish and give way to new voices. Kermode, the bequiffed critic with a fiery passion, supports such an environment for the practice to blossom and enjoy the fruits of a productive community. Hatchet Job addresses this change, trying to understand the potential for new spaces of screen criticism whilst appreciating the potential pitfalls. The Internet hosts, as Kermode would approve, a ripe selection of platforms to help voice the freshest breed of critic. But with all the rampant opinion and considering the ease with which writers can circulate their work, it has become increasingly hard to be heard, let alone be appreciated as a professional. Kermode is proud and passionate about his profession and the book pays tribute to his faltering vocals in the printed word. He has nonetheless managed to adapt to the ways of a multiplatform era, with his BBC radio show Kermode and Mayo’s Film Review, his status as chief resident film critic for The Observer, along with a blog for the BBC. Hatchet Job lends to self-promotion (was it already mentioned that he has a column for The Observer?) and digresses at every opportunity to discuss numerous bizarre and often irritating anecdotes such as his routine dog troubles. Kermode often loses himself to nostalgia and the scent of celluloid. The debates surrounding the new online space and its implications on film criticism is a recurrent topic in the age of the Web, but the scope and extent of the change is not a priority for Kermode. While he fills the pages with personality and character, the argument carries little weight in favour of his tendency to digress or insert a comical quip. 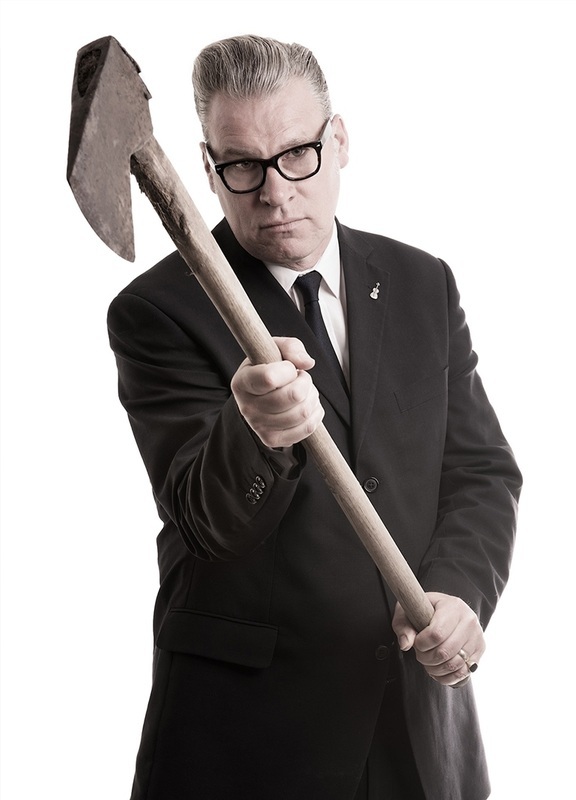 Kermode has successfully branded himself within the changing climate of the industry. Hatchet Job establishes the Internet as a democratic market place, albeit a somewhat deceptive one with a threat posed from a veil of anonymity cast over the user’s identity and monetised interests. The concern for his own profession is justified by the wave of amateurism that characterises the rise of the blogger and the fall of the critic. Rather than divorcing screen criticism from a cultural practice, the web has expanded the conversation amongst a community of cine-literate bloggers. Kermode swiftly passes over his history as a critic from ink to machine and dwells in the now, discussing the pros and cons of the digital age. He stumbles upon a romantic sentiment that has perhaps been washed over by the acclaimed “snobbery” of critics: cinema should be celebrated. This, as Kermode’s words reveal, is the ethos of the profession. This understanding challenges the misconception that critics have a destructive agenda and this is Kermode’s greatest achievement in correcting the profession away from the spells of notoriety and dishonour. In addressing the identity of the digital critic – by passing off the older generation as woeful hitchhikers in the age of fast-lane information – Kermode promotes the Internet and the critic as having a mutually beneficial relationship. However, he attaches the profession to material requirements and false risks that only serve to flatter his own achievements. The optimistic, indeed idealist, vision of the advantages of online spaces in Hatchet Job does little to support the critic in the online arena. Kermode’s expansive fan base cherishes the critic as an exemplar and idol of the trade, when instead he should be considered an anomaly. Film criticism should not be about risks or what can be taken from the author (their reputation and job) but it should be about what the author can give to the conversation. Kermode’s belief that risk has some sort of intimate relationship with the profession contradicts his own claims about the Internet aiding new voices and opportunities; these requirements only come with time and experience. The identity of a critic should not be limited but rather embraced as a more fluid form, where fresh talent and professionalism can blend into a new breed primed for the merits of the digital age. Film criticism expands beyond the blogger, or social network user and exists more so in the conversation to be had about the screen. 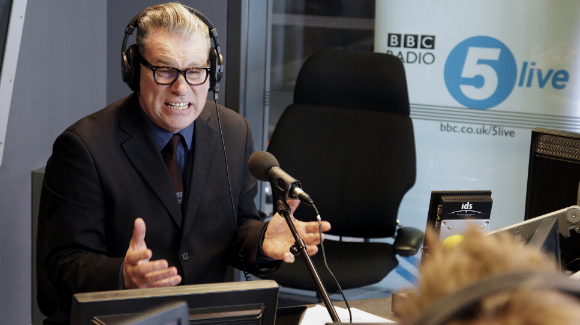 The Kermodian rant in full swing on Kermode and Mayo's Film Review show, BBC Radio 5 Live.